There are so many reasons to vacation in Italy... the ancient hilltowns, the delicious food and wine, the relaxed pace of life, the unique quality of light and on and on. Italy is also a center for the arts, with a host of cultural events stages each summer. 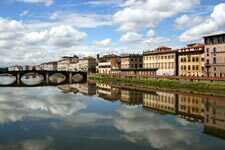 Why not plan your vacation around one or more events in these regions of Italy? Experience the Il Palio in Siena, the Puccini Opera Festival in Luca, the Wave Music Festival in Arezzo. 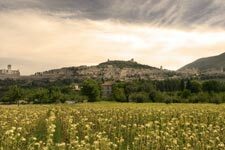 Tune in to the Umbria Jazz Festival in Perugia, the Todi Festival featuring theater and music, the Festival of two worlds in Spoleto. 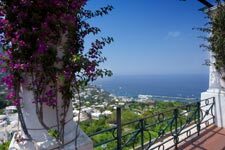 Enjoy the legendary Settembrata Anacaprese in AnaCapri, the Regatta of the Ancient Maritime Republics in Amalfi, the Summer Sunset Concert Series in Capri. A celebration of vintage cars and motorcycles that began in 1929 and is now one of the largest of its kind in the world. A weekend long festival where the first day ends with hundreds of paper lanterns being released into the air over the lake while fireworks are set off. The second day begins with a parade of brightly decorated boats and is filled with dancing, music, and food.